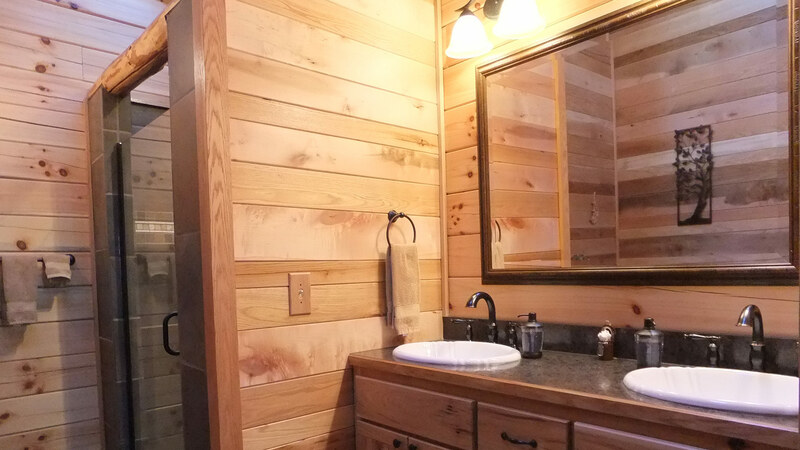 Welcome to Bella Luna Log Cabin! 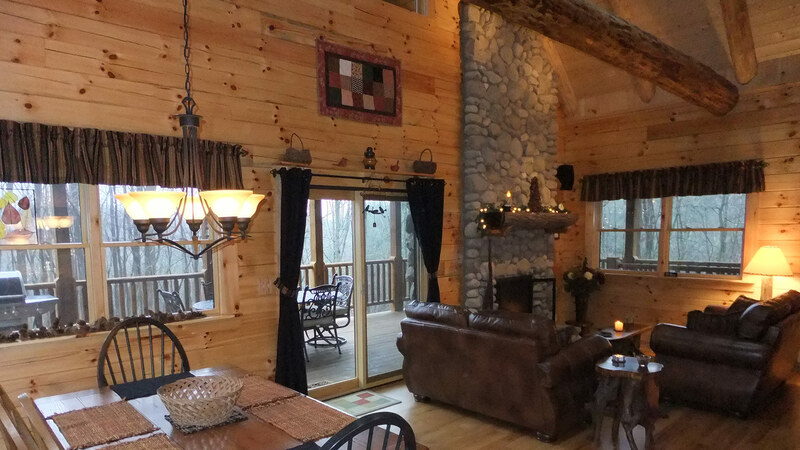 Bella Luna is a luxury, custom built log home on 12 private acres in the heart of Hocking Hills. 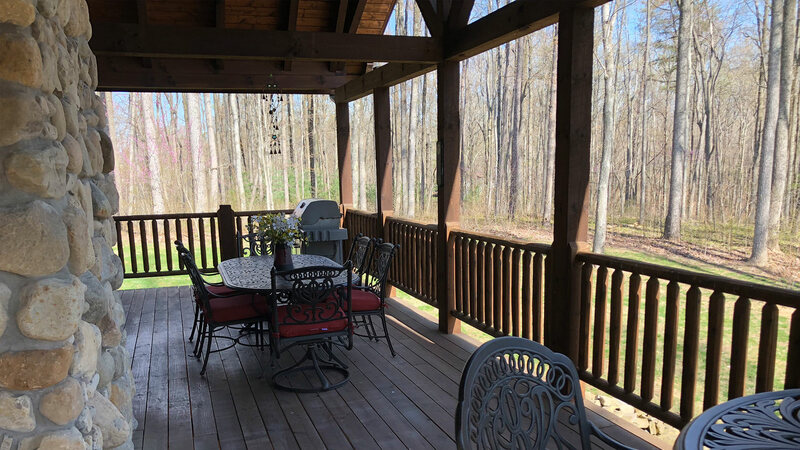 Relax and unwind in the beauty of the wooded surroundings from the wrap-around covered decks or private master suite balcony. 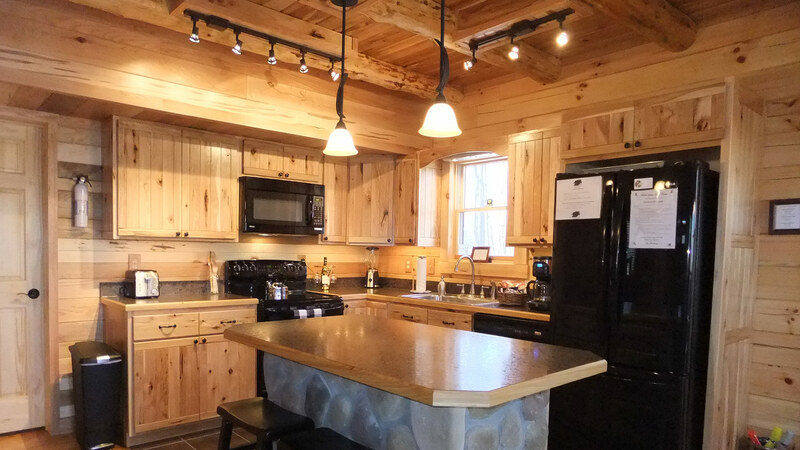 With three bedrooms and three full bathrooms, we offer accommodations for up to six people comfortably. 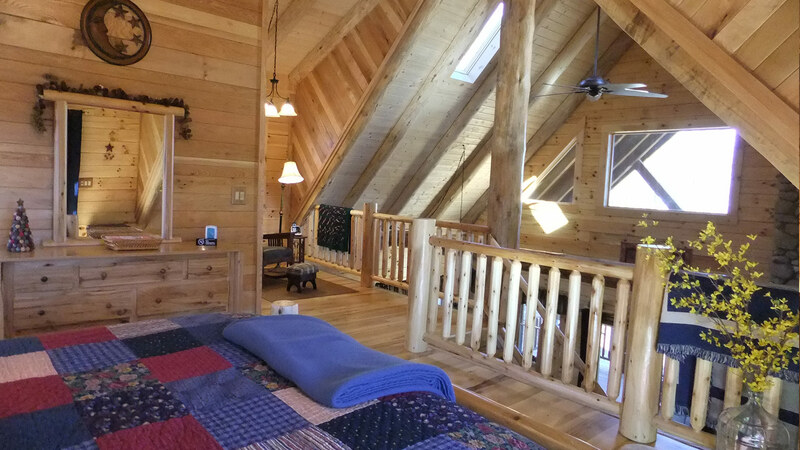 The vaulted ceilings and skylights provide natural sunlight throughout the three story layout. 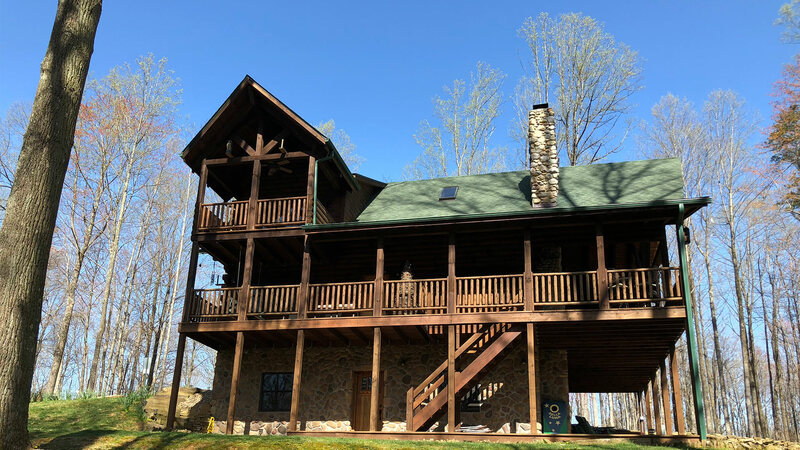 Bella Luna is beautifully furnished and has many special features including heated towel warmers, floor-to-ceiling stone gas fireplace, sandstone fire pit, and indoor/outdoor speakers, just to name a few. 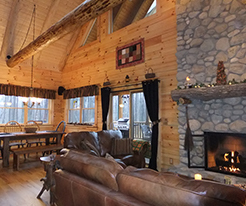 Bella Luna Cabin is the perfect retreat for couples or small families looking for a peaceful getaway. 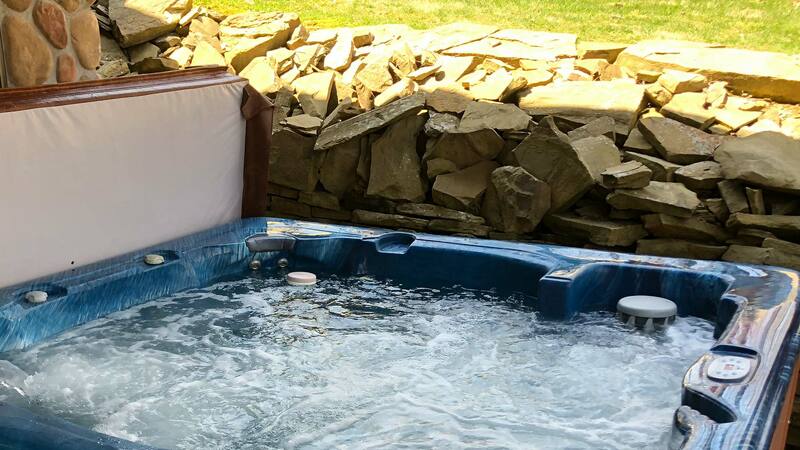 Looking to celebrate a special occasion or just need some time to relax and unwind? 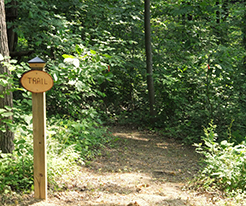 Conveniently located near most major Hocking Hills attractions. 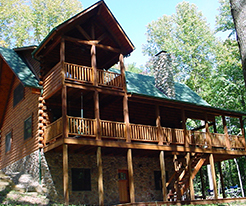 Make sure you ask about our partnership with Hocking Hills Winery.